Featuring Archie Manning, Derrick Brooks & Randall Cunningham. 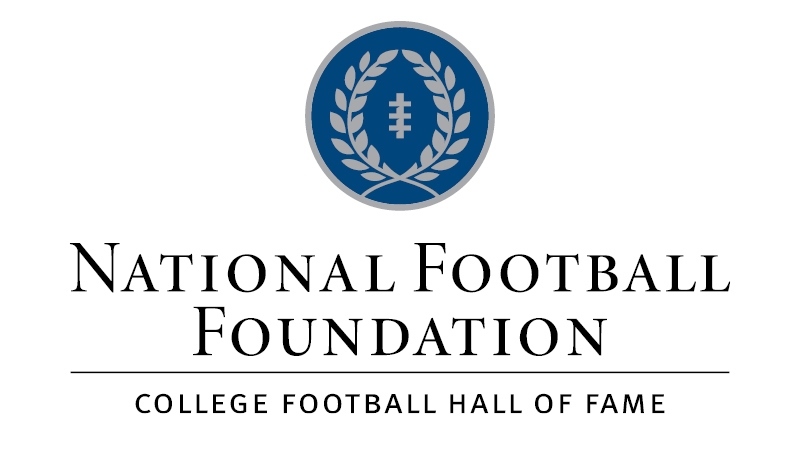 Access to the 2016 NFF honorees and the announcements of the 2016 Wuerffel Trophy recipient, the 2016 MEAC Offensive and Defensive Players of the Year and the finalists for the 2016 FWAA Eddie Robinson Coach of the Year Award. Dec. 6, 2016, from 9 a.m. – Noon EST, following the “approximate” schedule of MEAC Players of the Year Announcement (9:05 a.m.); FWAA Eddie Robinson Coach of the Year Finalist Announcement (9:20 a.m.); NFF Major Award Winners (9:30 a.m.); College Football Hall of Fame Class (10:00 a.m.); Wuerffel Trophy Announcement (11:00 a.m.); and NFF Campbell Trophy finalists (11:15 a.m.). Attend in person, requesting a credential by emailing news@footballfoundation.com, or watching a livestream on ESPN3 by clicking here. A live-clean HD satellite feed will be available, courtesy of CBS Newspath, from 8:30 a.m. to 12:30 p.m. EST at Galaxy 16 Transponder 4B; Downlink 11769V; Data Rate 8.912; Symbol Rate 4.0; FEC 3/4. Or via the Vvxy fiber line at HD Circuit #4471 at the Waterfront (Ascent Media) in NYC. You may also contact your news service (ABC NewsOne; NBC NewsChannel; CBS Newspath; CNN Newsource, Fox Feed, etc.) for specific footage. Permission is granted for use for news purposes only during the customary 48-hour window. Satellite Trouble Shooting Contact is Phil Marwill at 917-579-4256. The dinner ceremonies from 8:00 p.m. to 10:00 p.m. EST can be watched via a livestream on ESPN3 by clicking here. A live-clean HD satellite feed with a 30-minute buffer before and after, courtesy of CBS Newspath, may also be found at Galaxy 16 Transponder 4B; Downlink 11769V; Data Rate 8.912; Symbol Rate 4.0; FEC 3/4. Or via the Vvxy fiber line at HD Circuit #4471 at the Waterfront (Ascent Media) in NYC. You may also contact your news service to request specific footage. The William V. Campbell Trophy winner will be announced live between 8:15 and 8:20 p.m. during the feed. Permission is granted for use for news purposes only during the customary 48-hour window. Still photos from the morning press conference and the dinner will be available in a Dropbox accessible via this link. Media outlets looking for a specific photo not in the Dropbox may send an email to news@footballfoundation.com requesting a specific photo. MEDIA CENTER & WORKROOM presented by DragonFly Athletics – The NFF has arranged for a media workroom at the Waldorf Astoria with Internet access. Media will have access to Promenade A on Monday, Dec. 5, from 9 a.m. to 10 p.m. and again on Tuesday, Dec. 6, from 8 a.m. to 3 p.m.
NFF Chairman and College Football Hall of Fame inductee Archie Manning (NFF Gold Medal); Chancellor of the University of Texas System and retired U.S. Navy four-star admiral William H. McRaven (NFF Distinguished American Award); College Football Hall of Fame coach and AFCA Executive Director Emeritus Grant Teaff (NFF Outstanding Contribution to Amateur Football Award); U.S. Naval Academy Athletics Director Chet Gladchuk* (NFF John L. Toner Award, presented by Hofmann Brands, for excellence in athletics administration); the Voice of the Washington Huskies Bob Rondeau (NFF Chris Schenkel Award for excellence in broadcasting); and NFF Board Member and GE Chairman & CEO Jeff Immelt* (NFF Legacy Award). *Will not be at the press conference. Marlin Briscoe (Nebraska Omaha), Derrick Brooks (Florida State), Tom Cousineau (Ohio State), Randall Cunningham (UNLV), Troy Davis (Iowa State), William Fuller (North Carolina), Bert Jones (LSU), Tim Krumrie (Wisconsin), Pat McInally (Harvard), Herb Orvis(Colorado), Bill Royce (Ashland [Ohio]), Mike Utley (Washington State), Scott Woerner (Georgia), Rod Woodson (Purdue, represented by his son, Demitrius) and coaches Bill Bowes (New Hampshire) and Frank Girardi (Lycoming [Pa.]). Chris Beaschler (Dayton), Tim Crawley (San Jose State), DeVon Edwards (Duke), Brooks Ellis(Arkansas), Carter Hanson (Saint John’s [Minn.]), Taysom Hill (BYU), Ryan Janvion (Wake Forest), Zay Jones (East Carolina), Cooper Rush (Central Michigan), Karter Schult (Northern Iowa), Tyler Sullivan (Delta State [Miss.]) and Zach Terrell (Western Michigan). The recipient of The William V. Campbell Trophy, presented by Fidelity Investments, will be announced live during the dinner on Dec. 6.